At Men’s Vitality Center, we’re dedicated to helping all of our patients lead full, healthy lives. If you’re suffering from the symptoms of low testosterone, know that effective treatment is available. 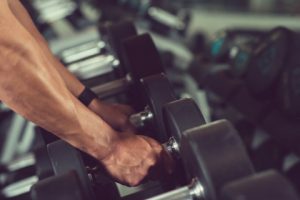 Schedule a testosterone replacement therapy consultation today, and continue reading below to learn more about this cutting-edge treatment. Build strength and muscle mass. As they age, many men start to find that they’re feeling more tired and run-down than usual. They may be less inclined to participate in physically demanding activities, they start gaining abdominal fat, and many of them begin to notice that their libido isn’t as high as it used to be. It’s often difficult for men to speak to anyone — including their physician — about these issues. However, it’s important to remember that while these symptoms are normal, they can be treated and managed through a variety of different avenues. Don’t let your pride get the best of you. Instead, speak to a physician at Men’s Vitality Center about hormone replacement therapy and take the first steps toward a healthier, happier life. If you come to Men’s Vitality Center with any of these symptoms, your doctor will begin by performing blood work to determine the cause of your symptoms. If your doctor believes that low testosterone is contributing to your symptoms, they will likely suggest hormone replacement therapy for men, or, as it’s often referred to, testosterone replacement therapy (TRT). What Kind of Treatment Is Available to Me? Can It Be Inconspicuous? There are several options available for low testosterone treatment. At Men’s Vitality Center, we’re committed to providing our patients with the most effective and affordable treatment available, and that’s why we exclusively use testosterone injections. Below is a quick review of some TRT treatment modalities that will help you understand more about why we use injections. Testosterone injections are long-lasting, precise, administered into the buttocks, and have a 100-percent success rate in delivering bioavailable hormone into the body. They require a dosage interval of only once each week, and are low in cost. You can expect to see a drastic improvement in your symptoms in as few as three weeks, though some men don’t see an improvement until week six. Speak with your physician about your specific circumstances. Topical testosterone is absorbed through the skin. Though it’s easy to apply, topical testosterone can be poorly absorbed, leading to inconsistent blood levels and inconsistent symptom relief. Topical testosterone can also be washed off by perspiration, and it can also be transferred to children, women, and others who do not need additional testosterone. Testosterone patches are another popular option, though their effectiveness is also limited. Two of the most prominent shortcomings include inadequate increase of testosterone levels and localized skin reactions. Testosterone pellets require a surgical procedure for implantation and removal, and do not allow the physician to alter the dosage based on an individual’s response. To make matters worse, many men suffer testosterone pellet site infections and abscesses which require surgical removal and antibiotic treatment. At Men’s Vitality Center, we believe that nobody should be ashamed for seeking treatment. If you’re not feeling well, or if your symptoms are compromising your quality of life, then let our men’s health experts help you find a lasting solution. Even if low testosterone is not contributing to your symptoms, we’ll work to help you find lifestyle changes, medications, and other ways to relieve your symptoms. Are you ready to take charge of your life? Contact us today to schedule your appointment. Your friends and family will thank you for it, and you’ll thank yourself for taking the initiative to improve your health and well-being.